If the price of gas is too high and you are looking for a relaxing way to travel, we have a great alternative. Take a bus and leave the driving to us (well, not us but the bus company). We will take you to some of Michigan’s finest attractions as we sit inside this large limousine and leave the driving to someone else. From Dahlia Hill to World War II Battle Ship Edson it is a trip for all ages. We have collected information and web links related to the area and combined them here with photos we took and video clips from the show in what we hope will be a helpful guide as you plan your trip. Feel free to select only one or two activities per day according to your family’s interests. For assistance or for more information, call The Great Lakes Bay Regional Convention and Visitors Bureau @ 1 (800) 444-9979 Have fun! It's all here in Michigan's Great Lakes Bay Region, where towns like Bay City, Birch Run, Chesaning, Frankenmuth, Midland, and Saginaw paint pictures we've never seen before, in colors more vibrant than ever. So let's take a step back. Let the magic unfold before us on a canvas, or come alive on stage, where the sound of a thousand voices melt into one. Let's experience a whole new world, without ever traveling too far from home. Right here in the Great Lakes Bay Region... where every memory we make is its own simple masterpiece. Stroll through this outdoor center and discover savings of 25% to 65% every day at 145 designer and name brand outlet stores including Ann Taylor, Banana Republic, BCBG Max Azria, Calvin Klein, Coach, Guess, J.Crew, Lacoste, Nike, The North Face, Pottery Barn Outlet, Tommy Hilfiger, Under Armour and many others. Huge portions, great for a day of shopping, feeding hungry teenagers, or taking the Hunter's Special up north. 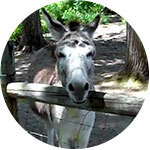 56-acre park with over 200 animals of 50 different species. Gift shop, picnic grounds, petting area and a play area. Seasonal. Handicap accessible. World's largest Christmas store, a shopper's dream with over 50,000 trims and gifts, the size of 1 1/2 football fields. Open 361 days a year. Christmas Lane is illuminated nightly, also visit the Silent Night Chapel, open year round. Wilkommen to Michigan's Little Bavaria. A magical place. A place where our family-style chicken dinners are nothing short of world-famous, and it's Christmas all year long. 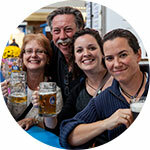 You might come for one of our many traditional Frankenmuth festivals, but we think you'll stay for the Bavarian hospitality and charm. 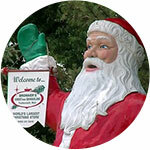 Get lost in over 40 unique shops at Frankenmuth River Place, ride the Bavarian Belle Riverboat or Frankenmuth FunShips, sip craft beer insideMichigan's oldest brewery, feel the magic of the season at the World's Largest CHRISTmas Store, or delight in a wine tasting at our own St. Julian Winery. You can even try our newest addition, the Adventure Park at Frankenmuth, Michigan's first aerial forest park complete with zipline! Built in 1880, remodeled in 1966. Stained glass windows tell stories of Christianity and St. Lorenz. The casavant organ has 49 ranks and 2,628 pipes. Church run campground is 1 1/2 miles from premises. Known as "The Showplace of Northeastern Michigan," The Temple Theatre and Event Center offers theatre seating for 1,750, a quality reputation and favorite destination among Mid-Michigan residents, prestige, distinction and honor for the audience, presenters and sponsors, lounge, ballroom and premier room, the only Barton Butterfield Special organ in original condition. 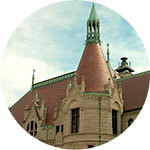 The Castle Museum was originally built as a post office in 1897 in the style of a French chateau. It is now home to the Historical Society of Saginaw County and features numerous displays on this area's history, including archaeology, lumbering and automotive manufacturing. In addition, there are traveling exhibits and other special programs and events. Make sure to visit the Museum gift shop when seeking a unique gift or souvenir! Handicap accessible via the rear entrance. Admission is $1.00 for adults and 50 cents for children. Historical Society members and their guests are free. Revered as one of the most authentic Japanese Gardens in all of North America, and the ONLY authentic tea house in the midwest. We offer occasional classes in traditional Japanese arts. In addition to language tutoring, you can learn origami (paper folding), bonsai (nurturing dwarfed plants), and calligraphy (Japanese script as a fine art). Our traditional sukiya (rustic) style teahouse is situated on 3 acres of gardens on the banks of Lake Linton. This location is a very unique place for a wedding ceremony and photos; also has a small gift area. Strolling Garden and tea house are accessible for all visitors. Hours: Mon-Fri 11am - 5pm | Sat 12 - 5pm. Admission to the Museum is free to walk-in visitors. The museum is housed in the Arbury Fine Arts Center on the campus of SVSU. 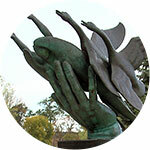 Marshall M. Fredericks was a Detroit based traditional figurative public sculptor. The Main Exhibit Gallery features a collection of 200 works, mostly plaster models that span the 70 year career of Fredericks. He is known nationally and internationally for his monumental figurative sculpture, public memorials, public fountains, portraits, and whimsical animal figures. The Sculptor's Studio displays an installation of Frederick's authentic studio objects and artifacts such as sculptures, tools, and equipment exhibited to explain the casting process. 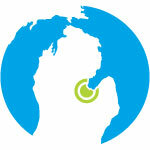 The changing exhibitions gallery feature the work of Michigan, regional and national artists. The Sculpture Garden includes twenty of Fredericks bronze and metal sculptures. Forty years ago, Charles Breed, a Michigan artist and teacher, began raising dahlias at his home. 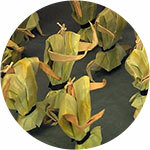 By 1992 he had over 1,700 tubers and had run out of room to grow them. 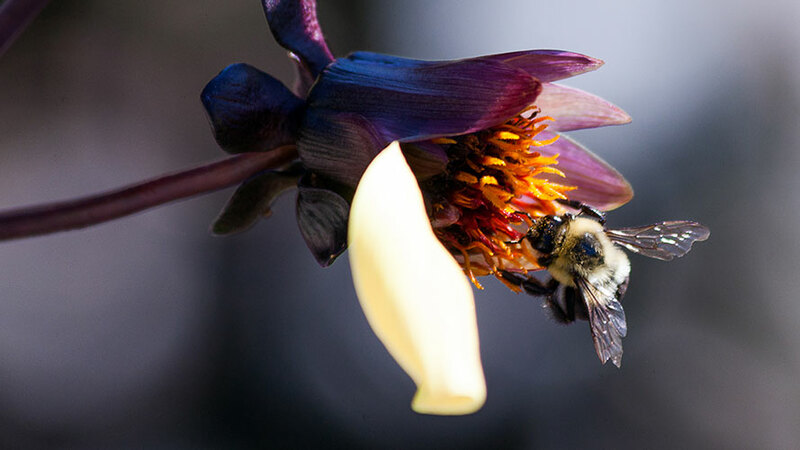 He asked his next door neighbor for permission to plant dahlias on the property next to his own. The neighbor agreed and the vacant property at the corner of Main Street and Orchard Drive became Dahlia Hill. 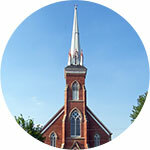 A non-profit organization was established to raise money to purchase the property. Individuals, private groups and local foundations all contributed funds and the Dahlia Hill Society was founded. Visitors from all over the United States have come to visit Dahlia Hill for its impressive variety of dahlias that are planted annually. At the top of Dahlia Hill is a unique art gallery featuring original designs in cast paper, bronze and other media. 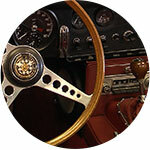 The pieces are based on designs by Charles Breed. Dow Diamond is the home of the Great Lakes Loons, a Single-A Minor League Baseball affiliate of the Los Angeles Dodgers. The facility is owned by the non-profit Michigan Baseball Foundation and has a seating capacity for baseball of 5,200. 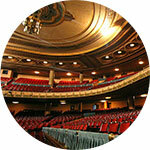 The seating capacity for concerts and other special events varies depending on function. The Loons play 70 home games and are members of the Midwest League. Individual game tickets go on sale in March. Full-season, half-season, and 16- and 8-game mini-plans are on sale now. Group outings are also currently on sale. 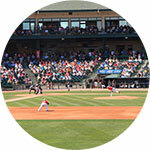 Located in downtown Midland, Dow Diamond is the perfect setting for corporate events and private parties. More than just a stadium, our year round facility has elegant rooms and unique views that will make your event a memorable occasion. Explore an oasis of Mid-Twentieth Century Modern Architecture that inspires and entices you to think and to quesion. The Alden B. Dow Home and Studio is alive with dynamic color, angle light and unmatched integration of structure with its natural surroundings. Designated a National Historic Landmark in 1989, the Alden B. Dow Home and Studio is shared with the public through a tremendous amount of educational programming, public tours and researchers utilizing the Alden B. Dow Archives, the repository of Mr. Dow’s architectural records. 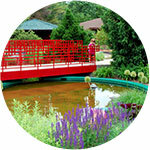 Dow Gardens is truly a garden for all seasons. 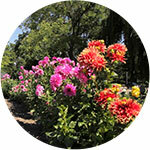 The gardens were developed in 1899 by Herbert H. Dow, founder of The Dow Chemical Company. They include massed plantings of annuals and perennials, a system of ponds, and collections of flowering crabapples, roses, viburnums, and rhododendrons. More than 20,000 tulip and daffodil bulbs are planted in the fall for spring blooms. Famed architect, Alden B. Dow, son of Herbert, added many architectural elements to the gardens. He believed as did his father that the entire beauty of the garden should never be revealed in a single glance. A walk along streamside reveals a curving pathway bordered by lush annuals and a stream, leading to an historic red bridge which takes you to the conservatory. Other attractions include the award winning Children’s Garden, a maze, and a rockery of dwarf evergreens near the entrance. 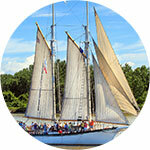 The Appledore Tall Ships provide three-hour public sailing excursions, private charters, corporate team building programs, and dinner cruises on the Saginaw River and Saginaw Bay. All sails depart from the downtown Bay City dock at Wenonah Park. Ticket sales help support BaySail's mission to foster environmental stewardship of the Saginaw Bay Watershed and the Great Lakes ecosystem by providing personal development opportunities for learners of all ages through ship board and land based educational experiences. 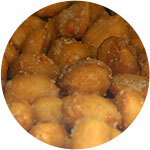 Nuts since 1904! Home of Michigan's finest, 100% natural peanut butter, choice homemade candies, assorted nuts, hand dipped chocolates, quality gift products and weekly specials. 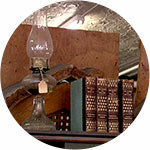 Michigan's largest antique center occupies a historic building in the heart of downtown Bay City. 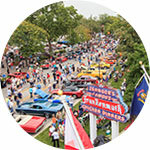 The center houses the state's largest collection of quality regional dealers along with European imported antiques, and was voted "Best Antique Mall" by AAA. Spend an hour or day exploring the more than 400 booths and showcases you'll find here. Located in Bay City, Michigan, the museum is home to over 60 motorized fire trucks – the largest collection of fire trucks in the world. 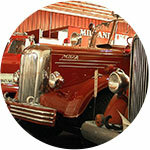 The museum also contains more than 12,000 antique and collectible toys, many of them fire, police and rescue vehicles. The Mitchell-Cotten family wanted to bring the Bay City Auto Company back to life. With the help of many individuals and partners — and the overwhelming support of the community — The Bay City Motor Company was reborn. It is located just blocks away from its previous locations. Although The Bay City Motor Company was built on the legacy of the Bay City Auto Company and over a hundred years of Michigan automotive heritage, it stands today because of the talents and commitment to excellence of so many individuals and partners. 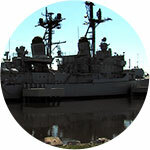 Tour the Saginaw Valley Naval Ship Museum permanently moored in Bay City. Commissioned on November 7, 1958, it was decommissioned on December 15, 1988. It is a Forrest Sherman-class destroyer prevalent in the Vietnam War. It was finally brought to Bay City in the summer of 2012. 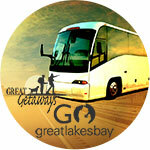 We have taken you on a Bus tour of all three counties in the the Great Lakes Bay Region , which would you choose for your adventure on your Great Lakes Bay Bus Tour? Would you pick Bay County for a leisurely trip on The Tall Ship Appledore and a stop at the historic Battle Ship USS Edson? Would you pick Midland County for a leisurely trip through Dow Gardens or the incredible architecture of the Dow Home? What about Saginaw County where it’s an unbelievable shopping experience in Birch Run at the Premium Outlets or a tour of little Bavaria, Frankenmuth. Maybe it’s all three counties!